The lawyers at Breakstone, White & Gluck have over 100 years combined experience representing drivers, bicyclists and pedestrians who have been injured in car accidents in Quincy, Boston and across eastern Massachusetts. If you have been injured, contact us today for a free legal consultation at 800-379-1244 or use our contact form. Our attorneys have settled motor vehicle accident cases for clients for $7.1 million, $3.75 million and $3.5 million. Read about these and other case results. Quincy is home to some of the state’s busiest highways, including the Southeast Expressway (Interstate 93), Route 3, the Burgin Parkway and the Furnace Brookway. Within the city, Adams and Hancock streets are among the most congested roads. Traffic comes in from neighboring South Shore cities such as Braintree, Weymouth, Milton and Boston. With over 92,000 residents, Quincy is among the 10 most populous cities in Massachusetts. It has 11 elementary schools, five middle schools and two high schools. Large employers such as State Street Bank and Stop & Shop are based there. Quincy Medical Center, Quincy College and Marina Bay restaurants also contribute to the city's steady stream of traffic. MBTA’s Red Line makes several stops in Quincy which bring in pedestrians, cyclists and drivers on a regular interval throughout the day. The stops are Quincy Center Station, Quincy Adams Station, North Quincy Station and Wollaston Station. There are many ways drivers can operate with negligence or recklessness, including when they miss one-way road signs, run stop signs, speed or fail to stay in their lane. Other examples are pulling out a cell phone, texting while driving or operating under the influence of alcohol. If a driver is negligent and seriously injures someone, they can be held liable for damages in a civil lawsuit. A criminal conviction for OUI or a traffic citation for speeding or other offenses can be introduced as evidence in a civil case. In Quincy, car accidents are investigated by the Quincy Police Department, which is located at 1 Sea Street. The State Police investigate accidents on highways or state roads. Motor vehicle accidents which occur on college campuses should be reported to both Quincy Police and the school's police department. 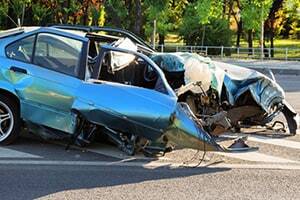 If you have been injured in a Quincy car accident, visit your local hospital emergency room or doctor. It is critical to receive medical treatment and have all your injuries documented. As soon as you feel able, write down any information you may remember from the scene. Our lawyers understand that facing an injury claim is traumatic and emotional. We are dedicated to obtaining the best results for every client, while keeping them informed throughout the process. If you have been injured, Massachusetts has a Statute of Limitations restricting how long you can file a lawsuit against the driver and any other responsible parties. Because of this, it is important to contact an attorney promptly. To learn your rights, contact Breakstone, White & Gluck for a free legal consultation toll-free at 800-379-1244 or use our contact form.